The bold geometric design of the Atley white convertible crib with toddler rail will create an immediate presence in your baby's nursery. Its beauty is in the details; modern and stylized, this crib puts a clever twist on classic style. 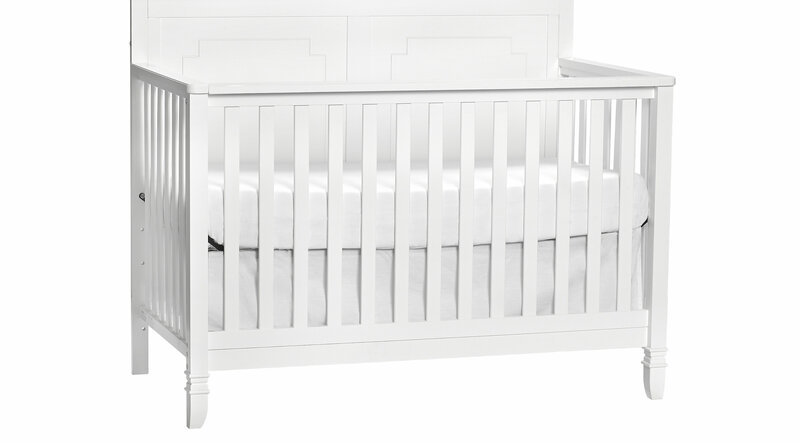 This crib can easily convert into a toddler bed with the toddler rail which is included. As this crib grows with your child, it will be enjoyed for years to come.